Presbyterian's tall-steepled sanctuary building has been a downtown landmark for over a hundred years now. Yet it's still home to a vibrant, Christ-centered community of faith, always eager to welcome newcomers. Please browse this site to learn about the many opportunities available here. Then, visit us in person and see if this might be the spiritual home you've been looking for! April 28 - "In Spite Of, We are Called"
May 5 - "From Obstacles to a Clear Path"
Save the date! We will have a year-end wrap up on Tuesday, May 14, from 5:30 to 8:00 p.m. Stay tuned for more details. 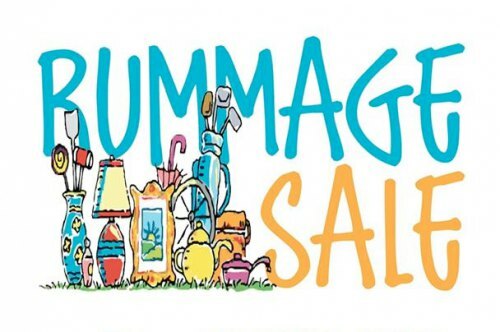 You are invited to our large Spring Rummage Sale on Friday, May 3rd from 9 a.m. to 4 p.m. The sale will feature clothing, house-wares, furniture, collectibles and much more! A Bag Sale will begin at 2 p.m. Our famous “eat your fill, pay as you will” lunch will be available. There will be something for everyone! 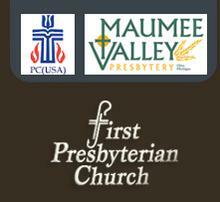 The First Presbyterian Church is located at 120 S. Park Avenue in Fremont. Our next monthly luncheon will be on Sunday, May 5 immediately following the worship service. The Deacons will be providing a taco bar! 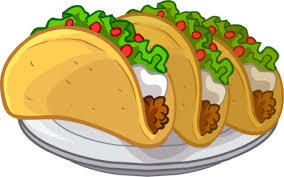 Join us for worship at 10:00 am and then stay to visit with your Deacon and enjoy a taco or two. We hope to see you there!